Alamo Drafthouse: Another action-pack film for this evening, and this one is Tarantino classic, PULP FICTION. I wonder if they will have a dance contest to see if anyone could out dance Travolta. Sundown At Granada: There's a great rooftop at the Sundown where there's a big screen and plenty of beverages. This week, they're showing SUPERBAD, and film begins at 8:30 and is free! Alamo Drafthouse: There are two fantastic events tonight, and it will be tough to pick just one. At 7 p.m., there's a quote-along with one of my favorite films, THE PRINCESS BRIDE. Then, at 8 p.m., there's a 30th anniversary celebration of GHOSTBUSTERS. It's an inconceivable dilemma! Who you gonna call?! Texas Theatre: My cohort loves watching short films, so this would be right up his alley. The Texas theatre is presenting a showcase at 7 p.m., like an open mic night, but for short films. The first ten filmmakers to post a comment on the event site gets to show their film at the theatre in the showcase. This is a great chance for up and coming filmmakers to get their films to the public. It's $5 or FREE for Texas theatre members. Alamo Drafthouse: At 7:10 p.m., Drafthouse Films will be presenting THE CONGRESS. Check out Javi's review here. Angelika Dallas: As part of their Cult Favorites in After Hours, THE BIG LEBOWSKI will be playing at 11:30 p.m.
Texas Theatre: If you're in the mood for a night of fabulous, the documentary of George Takei's life, TO BE TAKEI, will be playing at 7 p.m., and following that showing, there will be a 35 mm presentation of THE ADVENTURES OF PRISCILLA QUEEN OF THE DESERT with a drag show to close out the evening. 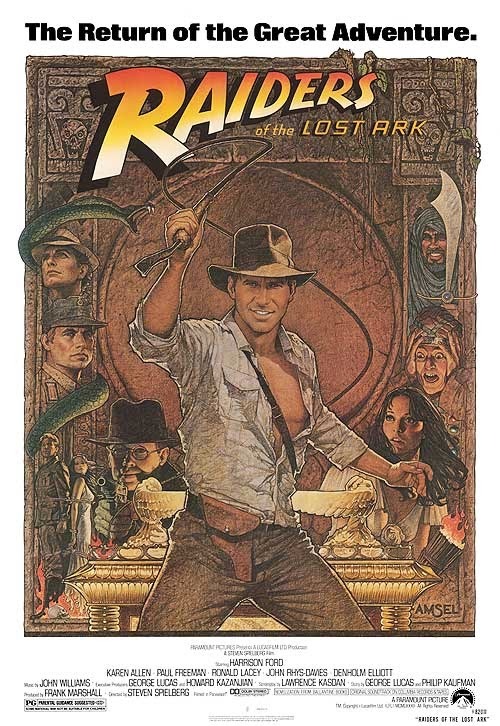 Alamo Drafthouse: For my pick of the week, I'm going with The Rolling Roadshow presents RAIDERS OF THE LOST ARK. If you've never been to an Alamo Rolling Roadshow, they are quite the experience. You bring some lawn chairs, sit back, enjoy some food truck grub and beer, and enjoy a FREE show in 35 mm when the sun sets. It's very high quality Alamo entertainment. Alamo Drafthouse: The Marx Brothers classic film, DUCK SOUP, will be showing for a lovely matinee at 12:30.